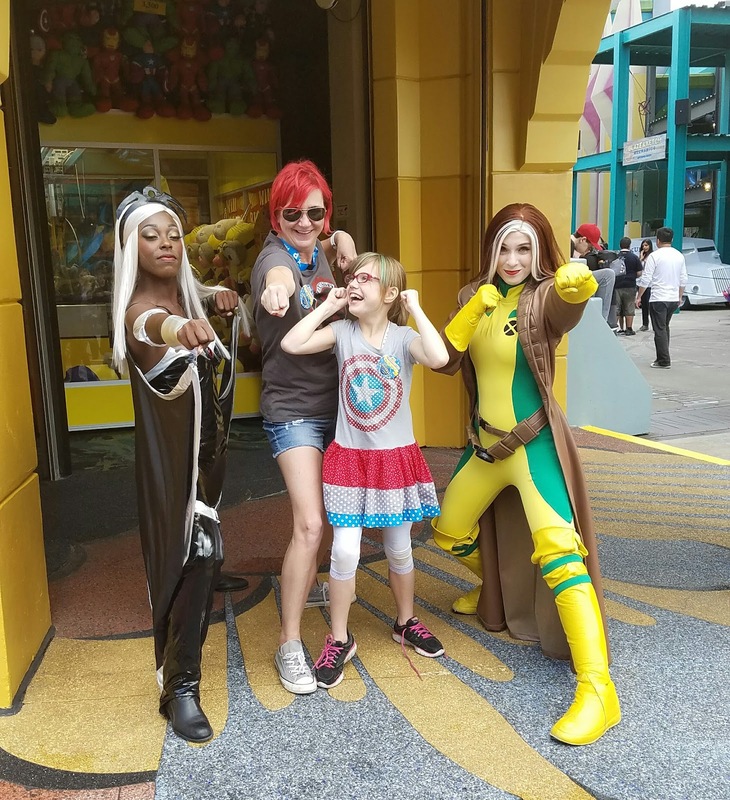 Misadventures of my nerdy little family from Marvel, Disney and Universal Orlando. From road trips to a Galaxy Far, Far Away. Focusing on Fandoms, family and fun. In no particular order. 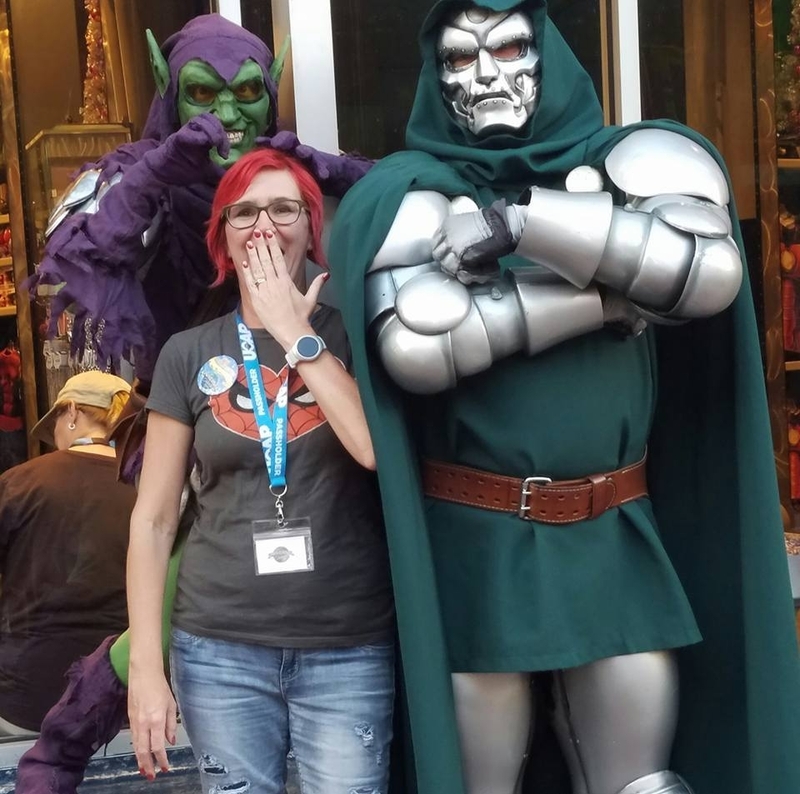 This is an older post that originally appeared two years ago before I merged my running and nerdy family thoughts into one handy dandy little spot. The first picture popped up today in my memories on Facebook, and I remember how much fun this conversation was and how much I love how her mind works. Our topics are slightly different now at nine, but I still don't know where we are going with most of our conversations. Like yesterday when we had a conversation about whether lattice multiplication or partial products was the "more fun" variation of math, that she knows three words in French. One being her full first name, the second bon jour (though arguably that's two and three) and finally flambé. Any guesses as to what inspired those word choices? I asked her if she knew what flambé meant and she said yes. Then channeling her inner Becky Lynch she said (straight) fire. I hoping she continues to retain that totally spontaneous thought pattern and stays true to being who she is. 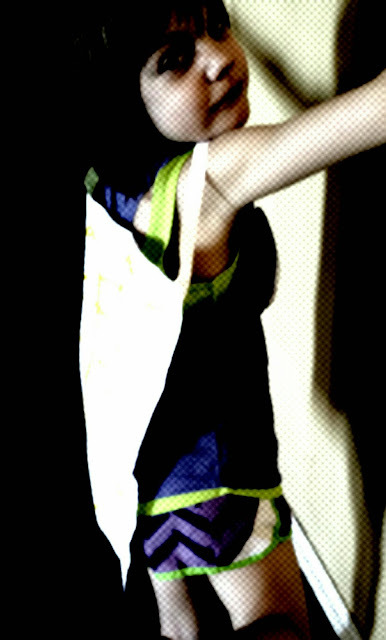 But for now, let me reintroduce to the seven year old wonder Super E.
That's a word right? Superfication? If not it should be. It was only a matter of time before it happened. Even with E's most recent obsession with the breathtaking spectacular that is Cinderella and the added bonus of a brand spanking new Frozen adventure... it happened. 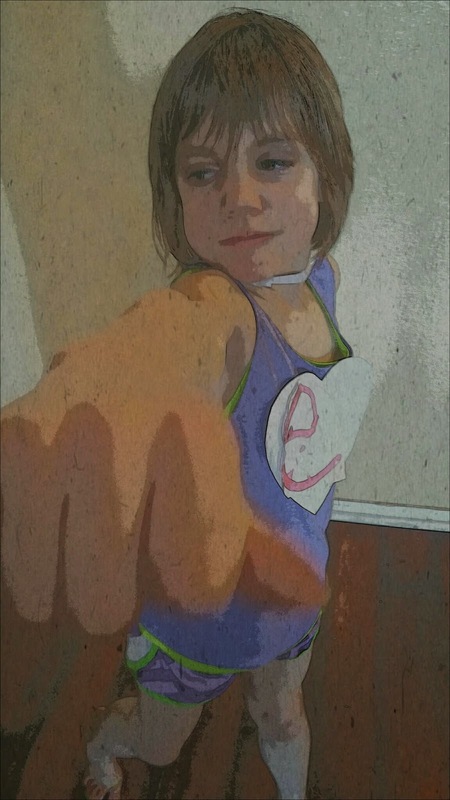 May I introduce you to Super E.
I picked my girl up from school only to find out she now has her own alter ego. Me: "How was school? What did you do today?" E: "I made a cape today. I need a glue stick to finish it "
E: "sidekicks. 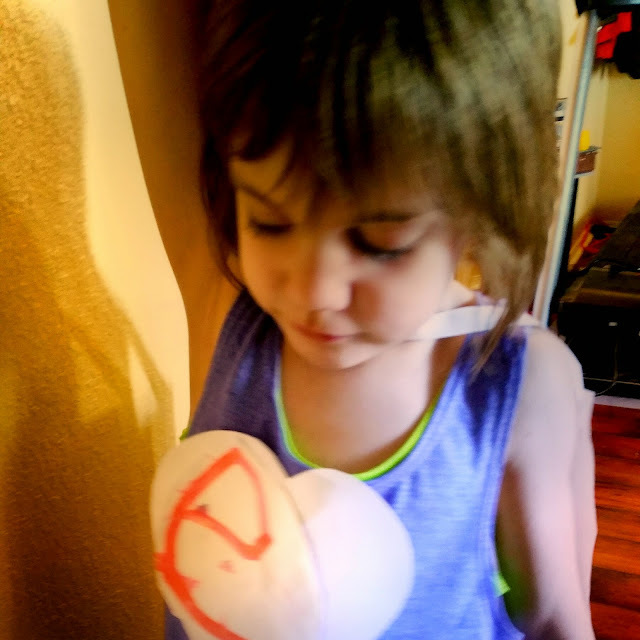 You know you can't be a superhero without sidekicks"
Through the course of the conversation it was revealed that she is now Super E, she makes her own costumes and the capes of her sidekicks. So she's super and she is crafty. Believe me when I tell you she's crafty, this girl has had an artistic bent for as long as she's been able to reflect that crafty side. Her super power is flying and she stands for "hugs, cuteness and the protection of animals" and I for one feel much safer knowing she's around. My Princess loving girl has also discovered her superhero side. I love seeing her play and create and be who she wants to be without worrying what anyone else thinks. Do you have a super side? If it was just as easy as making a cape and finding sidekicks, what would your super power be? Always remember that you CAN do whatever you want to do and be whatever you want to be. Only you are allowed to define yourself. No one else can. You are so much more than "just a girl"
Always remember that you are smart and strong. You are capable of so many great things. Don't ever be dissuaded from your path. Always remember to support your girl friends. Do not tear down, do not gossip, do not mock. Build up other women, do not tear them down. Though really this should apply to everyone, every day. Always remember that you can be anything even a superhero. Or better yet, be your own superhero. Always remember that you are loved. Now "go, get 'em tiger!"